New things are happening here! You may have noticed a few little changes on the blog during the past 24 hours or so! 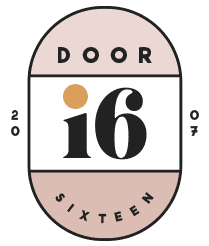 Yes, Door Sixteen got a little makeover—not a full redesign, but what I like to call a “mini-lift.” A new logo, a slightly wider format, a few little tweaks here and there. My dorky bio page has been updated, and the FAQ expanded. I also fixed a few things that were buggy, like the display dates on comment replies. As always, please let me know if anything is broken or weird. The other big new thing is that I am now officially accepting sponsorship ads. A while back I wrote a little bit (OK, a lot) about the possibility of that happening and why, and after weighing the pros and cons for the better part of the past year, I’ve decided to go ahead and make the jump. After 14 years of ad-free blogging, I’m excited about this new venture. I considered a few different ways of going about the whole thing, including the possibility of signing with an advertising network. One of the nice things about using a network is that there’s no “cross-contamination,” meaning that the ad content is handled completely separately from the blog content. The downside, though, is that the network approach would most likely mean that smaller businesses with tight budgets probably wouldn’t be able to afford the high rates plus commissions. That would rule out the most of artists and designers and photographers and craftspeople I care about and believe in the most, and then what’s the point? So I’ve decided to handle all ad sales directly. I can’t promise that there won’t be any of that cross-contamination—if a business I love decides to advertise here, I won’t stop mentioning them; if I discover a business I love through a new ad, I won’t hesitate to support them directly. The content of my blog posts will always and forever be representative of my own views and opinions. My approach to writing has not changed, and you shouldn’t expect it to. (You should expect to see more posts, though. Maybe I can actually afford the time to finish some of the dozens of unfinished drafts in my queue!) I truly believe that all parties will benefit in the end: Me, my sponsors—and YOU, the readers. My advertising policy, which you can read in full on my FAQ page, is one of 100% transparency. To that end, my current stats and my current ad prices and the “fine print” are all publicly displayed on my sponsorship page. There are no secrets here. Please head over to the sponsorship page for all of the numbers and options and guidelines. If you have any questions at all, drop me a line at anna@doorsixteen.com. Thanks! Hello! Welcome to the new Door Sixteen. Go ahead, girl… good for you!! Good for you, lady. You having more time to focus on your creative pursuits and giving me more glorious content to look at in exchange for well-designed ads? WORTH IT. I keep getting an error message: ‘Out of memory at line 3’ using i.e. Oh! Sorry about that. I can’t replicate the problem, but I’ll look at it tonight and see if there’s something that might be causing the error. Thanks for letting me know! Yes, what Pattern Society said. Sorry guys, I’ll figure it out tonight! Oh, that’s good to know about the manicure! Opens up a whole new world of possibilities, doesn’t it? Anna, I appreciate so much the way you’ve gone about doing this. Being upfront and transparent about sponsorship and compensation (which is totally reasonable for all the work you put into your blog) is one of the reasons I trust you so much as a blogger. Thanks for doing what you do! You are the biggest hypocrite I have ever seen in my life. You obviously don’t know Anna that well or have read her previous post in making this decision!? I vote we don’t worry about Sabrina. 😉 I know who I am and what I believe in, and if someone thinks I’m being disingenuous, I’m not sure what I can do to change that. Something tells me Sabrina isn’t all that interested, anyway, and that’s OK.
Good on you Anna. As usual, handled with thoughtfulness and integrity. Good for you! I work for a blog and it astounds me the number of people who think bloggers should work their butts off for free, for many years, like it’s not a media outlet that is valid. I know all too well how many hours it takes to craft content and luckily I am paid for my work – I applaud bloggers who take this step when they need to, to support themselves. Transparency is great, yes, and staying true to the feel of your blog is also desirable, but we all know you’ll achieve this admirably. It can be tricky to balance sponsorship with content while staying true to yourself. Good for you! I think it’s great you are so open and honest about it. I hope this allows you to do more of what you want to do. THANK YOU for not allowing moving .GIFs. Those things are pretty awful. Congrats Anna on the new design and on the decision to accept sponsorship. I’ll definitely be reading and can’t wait for more frequent posting! Hooray! I’ve always thought you deserved to be compensated for the awesome content and hard work you’ve put into your amazing blog. If only I had budget to do so! It would be très cool to sponsor your blog. Really liking the mini lift! It’s a little more raw and organic. And I love how transparent you are about this change toward sponsorship. I hope sponsors line up! I’ve been reading your blog for close to two years now and will continue to for as long as you write it. On a side note, are you familiar with the work of Pedersen + Lennard? Everything they make reminds me of your house. 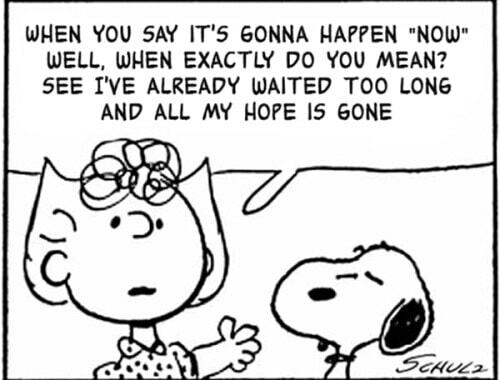 Perhaps it’s all the crosses. Rebecca, I finally took a moment to look up Pedersen + Lennard. Amazing work! You’re right—very much my taste. Thank you for sharing!! I think it’s great that you’ve opened up for sponsorship – and Passionfruit Ads looks like a handy little system, will have to check it out myself. Good luck and great redesign, by the way. Hi Anna, the blog is looking great, but I can’t for the life of me work out what’s wrapped around your logo….? Your blog, your decision. No question there. But can we please call a spade a spade? This all boils down to money, plain and simple. To prove that, let’s take a look at the math. 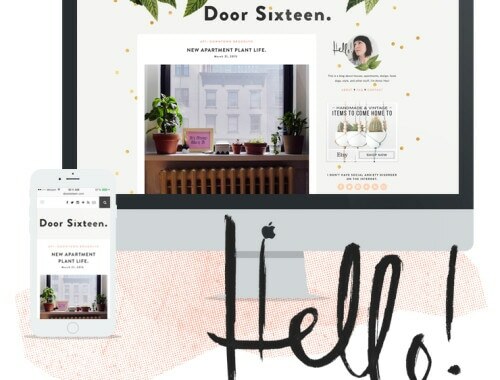 If we start with your full-time job and add in freelance projects, the result, as you have stated, is that you don’t have enough time for your blog. So, if we add sponsorship into the equation, what are we left with? More time? No. In fact, you would have even less time for posts because you now have to devote time to communicate with your sponsors and deal with their payment schedules. So you wouldn’t suddenly have more time, you would have more MONEY. And again, that’s cool if that’s what you want; just call it what it is. A for-profit blog makes profit. Not time. Actually, no, you’re mistaken. You neglected to subtract my freelance design work in your equation. I’m subtracting freelance work and REPLACING it with blogging. That was the whole point of this post from two months ago (linked to again in the post above). As anyone who has contacted me about freelance work over the past six months can tell you, I have turned down every project. I waited until all of my ongoing projects were wrapped up and completed before I started accepting sponsorship. So yes, I do “suddenly have more time,” in fact. That’s the time I have been spending on this blog, which is why you’re seeing more than 2 or 3 posts a month, the rate I had been reduced to because of freelance work. That’s the HUGE decision I made: Writing/blogging instead of freelance design. I take this seriously, Sarah. I’m not stupid, and I’m very careful about the decisions I make. Your opinion is your own and you are absolutely entitled to it, but what you’ve stated here is wholly incorrect. At least get your facts straight before you start telling strangers what their life decisions mean and don’t mean. An addendum, just in case you come back here six months from now to point out that I’m still doing freelance work: I am not abandoning my existing clients (anyone I’ve ever done work for knows they can always come back to me for updates and support), and I will probably still take on a one or two freelance projects a year if something comes along that I really want to be involved with—and, of course, if I have the time. I also find it curious that you only care about the opinions of readers you consider friends. (As mentioned in your reply to Kay.) Just because I’ve never commented before does not mean that I haven’t been a long-time reader and supporter of your blog. And why is it that first-time commenters who praise you are not admonished for their opinions, but anyone who says anything even mildly critical is automatically labelled as someone who doesn’t “have any sense of who you are or what this blog is about?” If all you want is fawning praise, you should close your comments now. P.S. Your addendum wasn’t necessary. I won’t be back in six months. After this fiasco, I and several others I know are done with Door Sixteen. You’re just hearing what you want to hear and piecing together ridiculous conclusions. When did I say I don’t want to earn more money? Where are you coming up with these things? Last time I checked, charging people for a service means you’re being paid. I’m not trying to hide that. The ad prices are publicly displayed. You really sound like a caller on a radio show who’s only heard 10% of a discussion but is determined to BE HEARD about this TERRIBLE OUTRAGE. There is no outrage here. You are angry just for the sake of being angry. Your desire to fabricate drama in completely non-dramatic situations (This is a “fiasco”? What in the world are you talking about?) is so counterproductive and nasty. Where does the desire to behave this way come from? Do you act like this around people in your daily life? How much time every do you spend feeling that you’ve been wronged? Is everything a moral imperative for you, or are you selective? Do you read blogs you don’t like just so you can feel angry and superior and leave comments that you think make you seem insightful? Does that make you feel good about yourself? These are just the things I wonder when I read comments like yours. And then I feel really, really thankful that I’m not like that. I don’t think it is very difficult to understand – whatever your feelings about ads on blogs – that by replacing income from freelance design work (which takes up time) with income from blog sponsorship (which should take up far less time), what Anna will end up with is more free time, rather than more money. I don’t expect to wind up with more free time, actually! Writing blog posts (and editing photos, and replying to comments, etc.) is really time consuming, which is why my frequency of posting had diminished so much—as long as month between posts at times! The decision I made was to replace the time I’ve spent working on freelance design work with blogging. This (blogging) is something I’ve been doing for a long time now, and I don’t want to give it up. But no, it’s not difficult to understand, is it? I’m not even sure what Sarah thinks I’ve done wrong or what it is she thinks I’m being dishonest about. I guess she thinks I’m trying to make people think I won’t be paid for the ads, or that I’m going to be secretly doing lots of freelance work too and making even more money. I have no idea what’s going on in her head! She’s complicating something that’s really not complicated. Oh well. Sponsorship is such a controversial issue, isn’t it? I love the idea of you having the freedom to write more, so that I can greedily read your posts. I’m new to your blog, but have quickly become addicted/inspired by your writing and style and thoughts. It is controversial, Red, but the best I can do is take it seriously and be thoughtful about my decisions. I understood that there would be a risk of angering a some readers when I made this choice, but I have to trust myself. It’s true, Anna is turning down freelance work – I contacted her myself for a blog makeover 🙂 I am particularly interested in following along how you are making this transition. I am doing the same thing, and will probably launch within the month. I have a full time job, and my blog is a part time job. I have decided to start earning a part-time wage for it. Nothing wrong with that! I LOVE the way you are handling the transition and the choices you have made. well done! Thanks, Robin, and I’m sorry I had to turn you down. Saying no is hard for me, especially when it involves doing something I love. I wish you the best of luck going forward! It’s a surprise to me too, Tanja. I really never thought this was a decision I’d make, but if I’ve learned any lesson in life at all, it’s that stubborn refusal to reevaluate and reexamine one’s beliefs and practices over time isn’t healthy or productive. The older I get, the less I like to live in “absolutes,” if that makes sense. I love reading this blog ads or no ads, and I really like the new design. Sorry to read the negative comments. Oh! Hah. I should probably edit that, huh? There will always be a few negative comments. I accept that—it’s just something that comes with having a blog. The best I can do is stand by my own beliefs. I can’t make everyone happy, nor do I want to. Your blog is increasingly becoming my favorite, and thanks for the heads up about sponsors, but I don’t care at all. If you are handling the advertising I will probably actually look at the ads since they are hand-picked and selected by you. I assume since I like your blog and taste so much, I could actually find something interesting, because usually I NEVER look at internet ads. +1. I love your blog. I’m delighted by the prospect of more content! I love your blog,ads or no ads! Blog tweaks look amazing, Anna. You are such a great designer. Ads don’t bother me a bit, they feel really integrated and tasteful. Also, you put so much time and effort into editing photos and all your posts, you DO deserve to get compensated. I want my favorite bloggers to keep at it! I’m really shocked, given the strength of your previous feelings about advertising! Oh well, everyone’s entitled to change their mind I suppose. It really gave me confidence in your impartiality though. You may find it isnt quite as easy as you think to not allow your views, and what you write, to be coloured by your relationship with your sponsors. I’m sure it won’t be too long before your pal Daniel, who recently started accepting advertisers himself, jumps in with a congratulatory comment. I expect Daniel accepting sponsorship made it much easier for you to do so too. I’m finding it harder and harder to separate you two guys these days anyway! What a weird comment. Am I supposed to apologize for being friends with someone else whose blog you read? I’m not sure what you mean about Daniel making it easier for me. He’s one of my closest friends, so yes, we do talk about all of this stuff with each other. We have a lot in common, and we spend a lot of time together. I think that’s pretty normal for friends, no? So yeah, I guess having intelligent, thoughtful friends that I can trust and speak to openly about ethics and values and fears does make it easier. It makes everything in life easier. Oh, and here’s a tip for telling Daniel and I apart: He’s a boy, and a much better writer. I’m the older, fatter one. Reading your remarks here and other responses to the very limited amount of criticism you receive, I can’t fathom why any brand would willingly partner with your blog. For a person who receives overwhelming amount of positive and supportive feedback.you could stand to be a tad more gracious, thicker skinned and professional when dealing with critical feedback. As an indie jewelry designer I face the occasional negative feedback or critical response and my first instinct is not to go on a snarky tear or defend myself, but to really listen to any criticism. Even the most obnoxious respondent – though for the record, your remarks to this commenter strike me as unduly harsh and rude – might have something to teach you about how to deal with negative feedback. You’re probably right, but there’s also some back story to the comment that isn’t publicly shown here. Also, the inclusion of my friend—who I feel very protective of—put me on the defense. I would have loved to have dealt with the unpublished back story part of things privately, but the email address used by the commenter was (very obviously) fake—as is the case with 99% of the negative comments I receive. Most of the fake email addresses (and unpublished comments) contain hostile obscenities, too, which further puts me on the defensive. What can I say? I’m human, and when I’m confronted with that kind of thing, my instinct is to defend myself—especially when the criticism is based in falsehoods, misconceptions and fabrications. Also, just as an aside: I actually get a LOT of feedback (mostly on Twitter and in emails) from blog readers who appreciate that I stick up for myself in these situations rather than just deleting the comments—or worse, replying to them in a PR-ish manner. So there are definitely different ways to look at it. Personally, I’d rather see someone I’m thinking of doing business with stand by their beliefs and speak their own truth than bend to false accusations and insinuations. Addendum: I totally get what you’re saying, though. Really. OK, I’ll stop replying now. 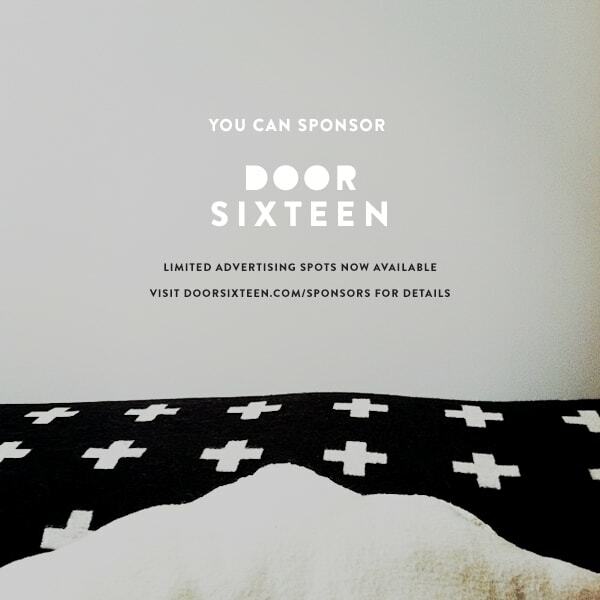 Well, I for one, not that it really matters, am totally fine with the addition of sponsors to Door Sixteen. I’ve been a long time reader of DS and one of the things I admire the most about you is how honest and truthful you are and how true you are to yourself and in your representation of yourself (I hope this all makes sense!). I always know that, without a doubt, anything written on your blog has been well thought out, well researched, and that the decisions you make – whether about facial products or something else – and share are 100% true to Anna. So I’m looking forward to seeing what new shops/artists etc. I’ll discover as a result of the addition of sponsors. Also, I stopped by your blog on Sunday (Saturday?) night…before this post was up but after the mini-face lift (which looks great by the way) and when I clicked on the “sponsor door sixteen” image one of the first things that jumped out to me was how transparent you are being in all of this. It’s rare that I see any of the big blogs like yours, or any blog for that matter, be up front and list their stats, and their rates etc..normally there’s the “contact me for rates” etc. comment. So right off the bat, I applauded that decision. Maybe I’m over thinking it, but much like the “fauxdenza” I think that the way you are going about adding and working with sponsors, and your transparency in all of it, is going to influence the way many bloggers approach the matter going forward. So, bravo to you. It does matter to me what you think, because you’ve been reading this blog for a long time and you’ve always been really forthcoming about the fact that you liked my “ad-free” stance. I respect you as a person and as a blogger, and I consider you a friend—so yeah, it matters. Do I care what an anonymous stranger who’s never even communicated with me before thinks? Not so much, no. I’m not going to waste my time trying to appease people who don’t have any sense of who I am or what this blog is about. What’s the point, you know? I’m glad you’re sticking around, and I hope you’re not too disappointed by my decision. Why do people get SO up in arms about artists (or craftspeople, or writers, or anyone who isn’t a bona fide white collar professional, really) who want to get paid for the services they provide? Doctors or lawyers or CPAs don’t have to defend their need to be paid for their talents and hard work. I’ll never understand it. Why would anyone work for free? I wholeheartedly understand your position and do not understand why anyone would question your decisions. Do they provide posts for your blog? It just doesn’t make sense to me at all. Good on you for making decisions that will not only benefit yourself but your readers as well. Loving the mini blog lift (I will miss the “D” with the triangle). Wishing you much success with your new endeavor! Anna, I am happy with your blog now and find it beautiful! Sharp and raw as I already told you. I liked it before too. I’m perfectly fine with ads and I just don’t understand why people need to come and argue about what you do. I like your blog, I stick with it, and if I didn’t like it, I’d just move away. It’s that simple. Wow. Jealousy is so so ugly. You just keep being you, Anna. I think this is very exciting and I am very happy for you. Your blog and your reputation with all your readers is stellar and you’ve spent years building this base, I feel it’s a win/win for you and the advertisers. I want to create a small crafty company that creates stationary or jewelry or something just so that I can advertise here because I think it would be VERY effective. I hope you run right out and buy that black SMEG. I want to see it in your kitchen!